Make your next gathering unforgettable. Host your meeting or event at The Lodge at Pebble Beach. Meeting facilities at The Lodge feature 10 principal rooms. This includes a flexible conference center overlooking The Lodge and surrounding gardens, while tents can be arranged for special functions. Meeting, audio-visual and catering services are unparalleled and special amenities are superb. Enjoy complimentary wireless Internet services in all guestrooms and common areas. Wonderful shops and restaurants, all surrounded by spectacular views, add to the world-class experience of this legendary venue. What Makes The Lodge at Pebble Beach Unique? The Lodge at Pebble Beach envelopes the 18th green of the Pebble Beach Golf Links, one of the most exciting closing holes in golf. The anticipation, passion and camaraderie of some of golf’s best moments echo through our halls and grounds. A rich history. A celebrated place. A legend. Come create your own special memories at The Lodge at Pebble Beach. With a glorious setting overlooking the Pacific Ocean, The Lodge features stunning views of flowering gardens, legendary fairways and Stillwater Cove. Since 1919, The Lodge at Pebble Beach has been a renowned California haven synonymous with unmatched, personalized service. Your guests will savor well-appointed guestrooms and suites, elegant dining, unforgettable scenery and world-class golf, spa and recreation. "As an event organizer, there is NOT a better place to host an event. The individual who coordinates our banquets and conference needs is absolutely superb. Even the front desk treats me like a god. I’m not that special—but they treat me like it. You will NOT find a better venue or better customer service." "I had the pleasure of attending a business function for a weekend at The Lodge. The staff here were incredibly helpful and hospitable. Absolutely huge suite...had to be at least 900 square feet! 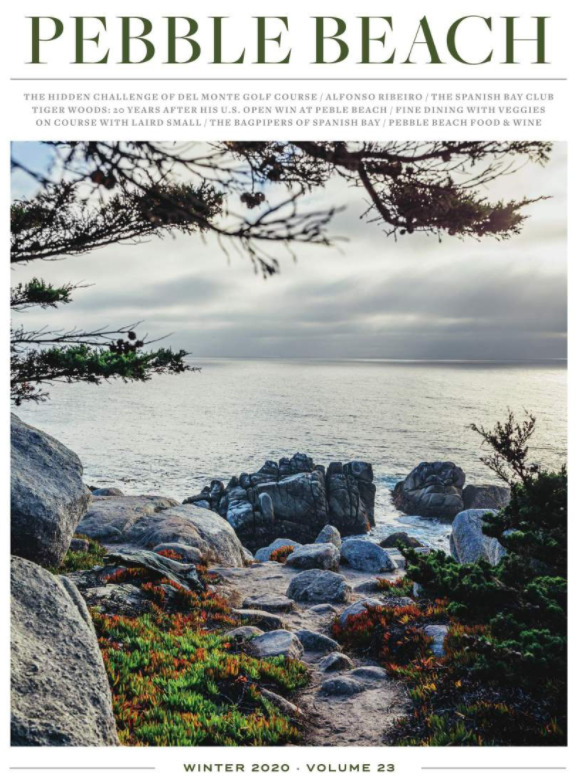 A great place…"
"We were fortunate to share three nights at The Lodge with friends and clients this past weekend at Pebble Beach. Amazing views, the beauty of the ocean, the golf course, wonderful rooms with first-class service and excellent food. Pebble Beach is one of my favorite places on earth."